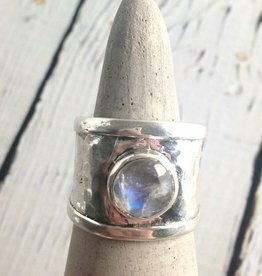 Sterling Silver Wide Hammered Band Ring with bezel-set Labradorite, Size 7. 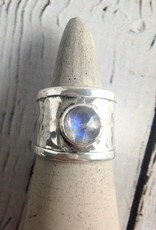 Ring is .6” at it’s widest point. 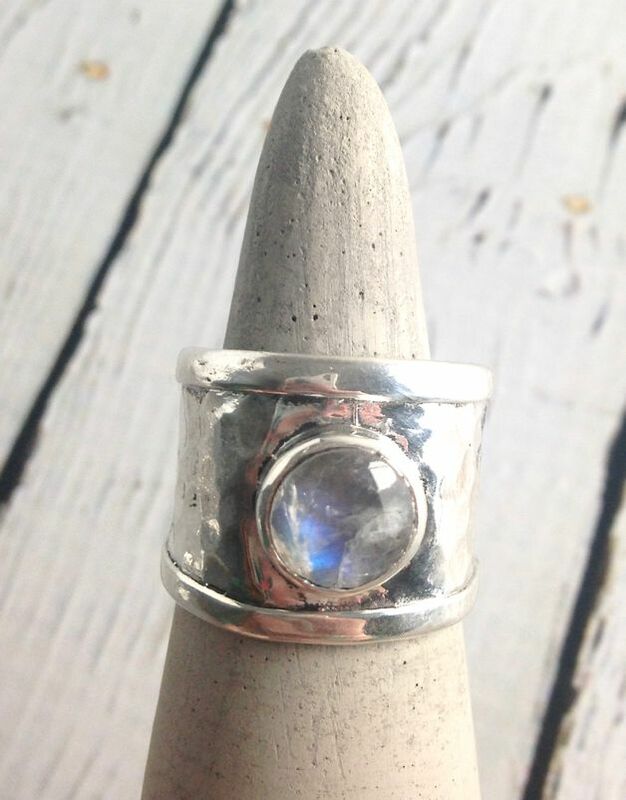 Sterling Silver Wrap Ring with Moonstone and Labradorite, Size 7. 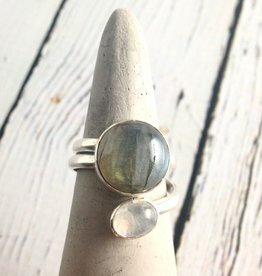 Labradorite stone measures approximately .5” x .5”. All of our jewelry is gift boxed and ribboned, prefect for presenting to your loved one. 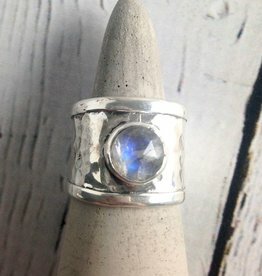 Sterling Silver Wrap Ring with Moonstone and Labradorite, Size 8. 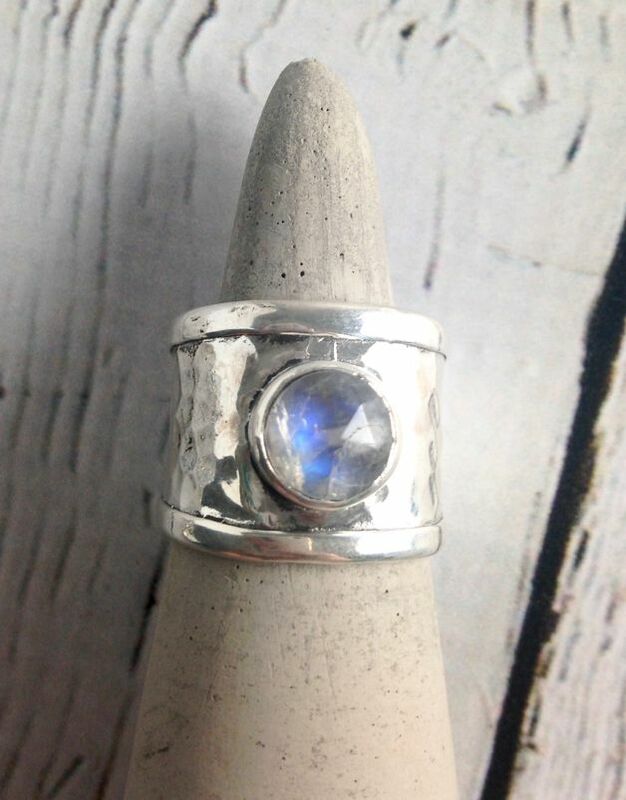 Labradorite stone measures approximately .5” x .5”. All of our jewelry is gift boxed and ribboned, prefect for presenting to your loved one. 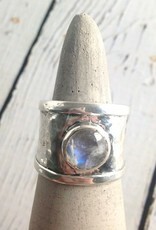 Sterling Silver Wrap Ring with Moonstone and Labradorite, Size 9. 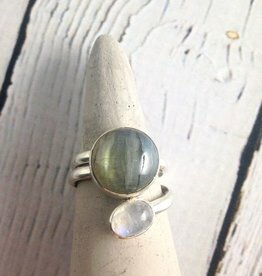 Labradorite stone measures approximately .5” x .5”. All of our jewelry is gift boxed and ribboned, prefect for presenting to your loved one.